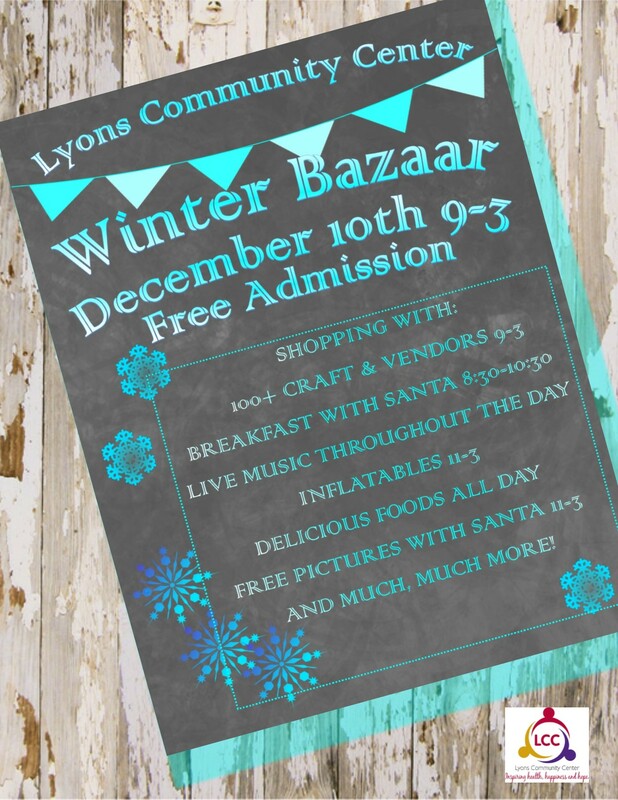 The Christmas Festival has been a main part of the Lyons Community Center since the 1980. The Festival was started by Tim McFaul as a way to bring the community together to celebrate the holiday season. The Festival featured holiday activities, games, and a visit with Santa. As part of Santa's visit, Tim wanted to make sure that all the children that visited received a gift. In 2006, Cesar Ortiz added craft vendors to the festival. The hopes of this additions was to bring more people to the festival not only from Lyons but from the surrounding communities. In 2008. Ortiz put together a committee of parents to help expand on the festival planning. In 2011, Tracy Fraser joined the team and the festival vendors grow from 25 to over 90. Today, the festival is one of the most attended in the area as well as one of the most successful programs at the LCC. Events for the festival include vendors, bounce houses, children activities, and the old tradition of a visit from Santa. The festival takes place annually the 2nd Saturday in December with Breakfast with Santa at 8:30am and the show begining at 9:00am.